HomeReject opportunism and divisiveness! Elect Bhupinder Kumar Chaudhary to the EC! The NDTF, in a double-speak, sometimes agrees with us and at other times tells teachers that this is a rumour spread by us against the Modi Government! Now for over a decade, this assault on public education and teachers’ role as well as teachers’ service conditions has been compounded by the manner in which statutorily laid down decision-making processes have been destroyed. Teachers’ lives have been made more miserable, whether out of vengeance or cultivated selective inaction. Teachers have shown determination, patience and wisdom in forging ways to meet these assaults. Together we have succeeded in warding off for the time being some devastating assaults. The DUTA and the elected representation in the EC & the AC are collective instruments of struggle and teachers’ voice against power. The NDTF leaders, however, see these as seats of power. 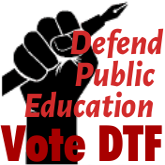 That belief is explicit in their criticism of the DTF and in their claims that when they get elected their “proximity to power” will deliver on teachers’ demands. Their close association with the Vice-Chancellor appointed by the Modi Government has ensured that all committees are packed by NDTF members at the dictate of the RSS/BJP. The VC has surrendered Orientation/ Refresher/ FDP courses to Pracharaks and Babas and through a deliberate inaction has ensured that the ABVP retains control over the DUSU. They indeed enjoyed power together with the AAD under the UPA appointed VC from appointment of Principals and Professors, membership on empowered committees, flying squads and statutory bodies as they made a mockery of teachers’ opinion on FYUP. The NDTF members in the AC did finally switch sides after the last Parliament election. 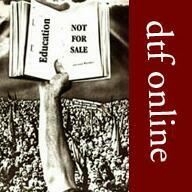 Even when fear gripped the university, the DTF’s persistent mass campaign along with students captured public attention. 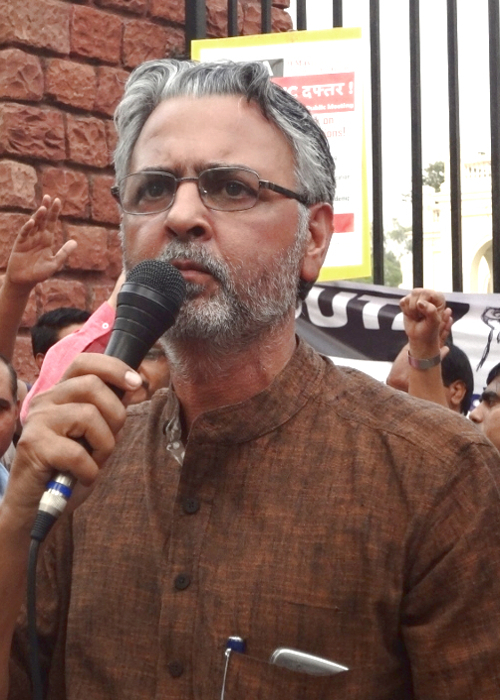 The AAP promised to fight back the FYUP in the 2013 Assembly elections. 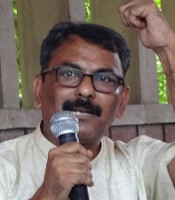 BJP sensed the public mood and did an about-turn before the Lok Sabha elections retracting from Delhi BJP Chief Vijay Goel’s earlier public statement supporting the FYUP. Permanent appointments have been largely on hold since 2010 with two breaks. First, a short period in which the desecration of the selection process and expulsion of a large number of long-serving teachers created fear and dejection rather than celebration. Then, following the suo motto High Court Order, another exasperatingly slow and tedious period. Finally, the insincerity of the Government on the issue of reservation for SC, ST and OBC brought the process to a halt. Since then, the Government kept making false promises to restore the college/ university-wise 200 point roster. 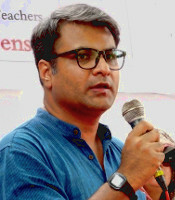 The legal situation that exists today threatens massive retrenchment of teachers from SC, ST and OBC categories as well as dislocation of teachers of every category from colleges in which they are working with no guarantee of accommodation elsewhere.A favourable resolution of the roster issue is today central to the demand for regularisation / absorption which arose in the context of teachers having been made to continue in temporary/ ad hoc capacity for long. The defence of the roster does not conflict with the demand for regularisation/ absorption. In fact, our failure to defend the roster would undermine not only social justice but that demand too. VC must go for his (in)action causing harm to teachers, teaching and research; not for bringing disrepute to Modi Government! 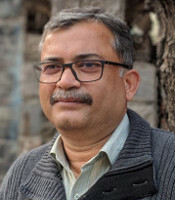 The VC’s inaction has disrupted decision making including utilisation of funds that has done severe damage to teaching and research, most acutely in science departments. It has imposed huge financial burden in the form of financial recoveries on many teachers on account of benefits granted to them by the University under CAS 1998 and is soon going to impose severe penalties on all those who availed counting of ad hoc experience. Many others who were eligible for promotion under the API scheme have been waiting for the administration to act and the benefits, however limited, of CAS 2018 remains unavailable. While we must keep up pressure on the VC on these issues, the demand for his removal requires documenting violations of statutory provisions and procedures. We need such documents from our elected members of the EC and various committees. In the absence of these, the removal of VC will remain an empty slogan. One group, while paying lip service on the roster issue, is leading a divisive campaign that DTF’s commitment to this issue is coming in the way of appointment that would increase UR posts. Another group is busy undermining the collective effort on roster issue through arguments that insult teachers’ intelligence. One is that once absorption is done the roster issue becomes irrelevant. The position that teachers can be regularised/ absorbed/ appointed in violation of the roster is deliberately misleading. 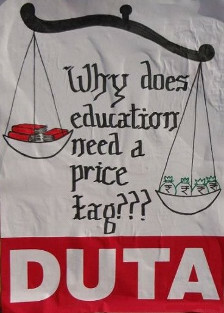 This same group has considerably harmed the demand for regularisation/ absorption and of giving substantial weightage to teaching experience by insisting that the DUTA drops ‘long-serving’ (which strikes a chord with the public) and then ‘regularisation’. Giving a false impression that ad hoc teachers, irrespective of length of service, could be absorbed permanently on as-is-where-is basis, that too by the Vice-Chancellor and not the Government, is a cynical view that reduces colleagues to mere voters. The dilly-dallying on the issue of roster reflects the opportunism of the NDTF and the AAD. They are unable to rid themselves of their strident anti-reservation past. They cannot resist the temptation to create divisions in the hope that it may pay electoral dividends. In the process, they encourage each section of teachers to be unconcerned about others. 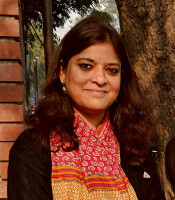 The repeated clamour for excluding the demands for pension, for correcting the contradiction in the Regulation that makes the relaxation in API scheme for pending promotion cases a non-starter and for removing PhD as an eligibility condition for promotion and appointment in CAS 2018 is part of the same divisive move. This attempt to pose as exclusive champions of absorption is in fact undermining a united struggle taking together the concerns of all sections of teachers. The need, therefore, is to first empathise with one another, focus on the links between destructive Government education policies and the action/ inaction of the VCs appointed by it, and bring students on our side so as to influence public opinion. The threats that stare at our face immediately, apart from the assault on roster, are the provision of appointment on contract basis and the provisions for Guest appointments. As the Government plays politics with the issue of reservation and tacitly encourages low paid contractual forms of appointment, a practice that is becoming widespread across Central Universities too, our fears are not unfounded. The Government’s attempt to make cynical use of the EWS reservations borne out of electoral opportunism as yet another policy measure is to enforce self-financing on public funded higher educational institutions. It is in this context that the DUTA Executive after prolonged deliberation enriched by the views of Staff Associations unanimously decided to chart a course of action that included participating in the 31st January Aakrosh March on the Roster issue called by several organisations from across the country, Strike and March to Parliament on 5th February, Strike on 12th February with Dharna at the University, interactions with students at colleges on 13th and 14th followed by a DUTA GBM, and a massive People’s March on 19th February at the initiative of DUTA, FEDCUTA, AIFUCTO under the Joint Forum for Movement on Education (JFME) comprising all-India Organisations of school teachers, of employees and students. The demands include the defence of public education, regularisation/ absorption of those working on various kinds of contractual arrangements, assured promotions and pension. As parties go into election, we must find the most effective and creative ways to bring public opinion on our side so that the Government and political parties are forced to take cognisance of the problems afflicting education and the teaching profession. Let us not forget that electoral compulsions forced the Government to make overtures to farmers since the creative forms of their agitation elicited unprecedented expressions of solidarity from the urban middle classes across the country. The media was forced to take note of their issues as they marched in silence into Mumbai in the night so as not to inconvenience children appearing in examinations.